I recently got back from a few weeks away from the office. I wanted to book a long vacation and travel a bit but didn’t want for any of my work projects to lag, so I packed my laptop together with my toothbrush and my flip-flops. I have all of my work files on pCloud so this gives me the luxury to travel with a tiny Macbook (with a tinier hard drive). Easy-peasy. I’m pretty low-maintenance so any space with a WiFi access is good enough to be a temporary working space – but I’m guessing this may not be the case for a lot of freelancers, digital nomads or any other professionals who, for some reason, have no access to a traditional office space. This is why I decided to come up with a little selection of cool coworking spaces around the world. This first article will explore Europe, where you can combine remote work with vibrant culture, history and sightseeing, and exploring many different countries in a short period of time. Let’s take a look. 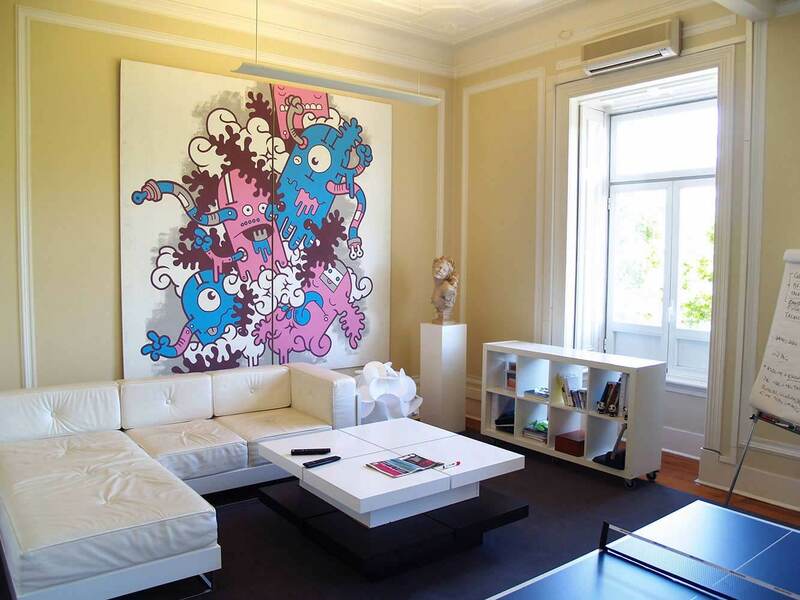 Located in a 19-century building in central Lisbon, Liberdade 229 offers somewhat limited but charming and fun space. To rent a desk there would cost you approximately 220 EUR/month. For this money, inhabitants receive a 24/7 access to the place, use of a meeting room, fast internet, fully-equipped kitchen, etc. Apparently, Liberdade 229 also has two “gorgeous bathrooms” equipped with a strong WiFi connection, books, graphic novels and magazines. While pooping comfort is probably not high on your checklist for a coworking space, you gotta appreciate these guys’ sense of humor. 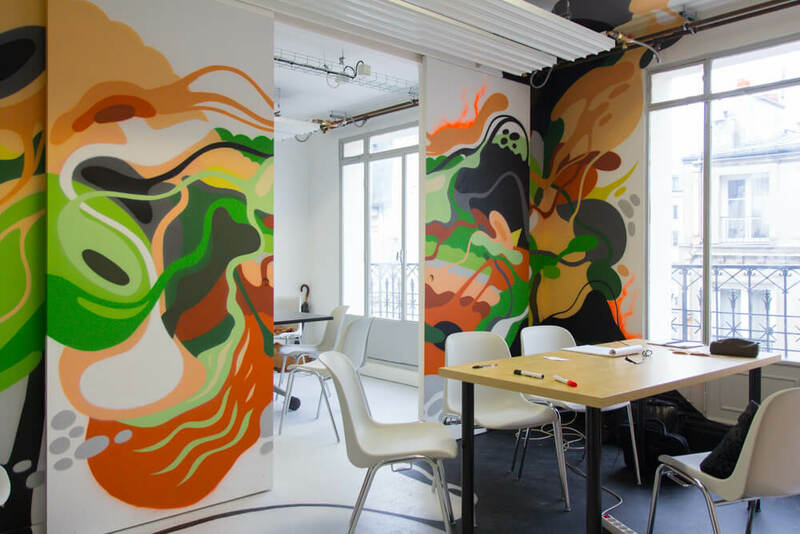 Numa is a great place for people who need a coworking space only occasionally – the place doesn’t allow for renting a fixed desk or anything, simply because it doesn’t allow for renting, period. In other words, working at Numa is free and all you need to do is check whether there’s an event that may prevent your access or bug your work process. (But really, make sure to check, as there are quite a lot of networking and other events organized on a regular basis.) There’s also a cafe/restaurant on site, in case you get peckish or need coffee power. With a name like that, you would imagine this space to be a giant playground for adults who can’t quite accept they’re adults, and you may be right. You can either get a Member status for the TSO locations across Amsterdam (currently, only one of these is open, though) for 99 EUR/month, or go with a Resident subscription for 225 EUR/month. Both options will give you unlimited use of meeting rooms, free tea and coffee, and a play area, among other things. 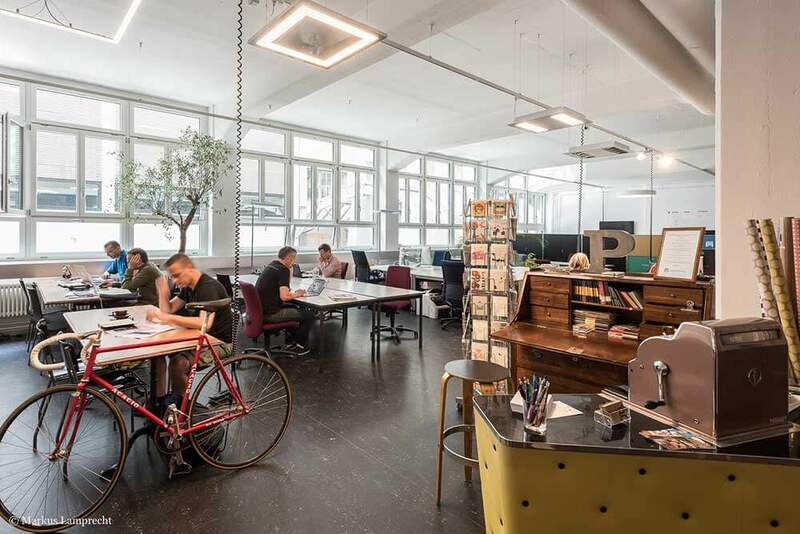 An industrial-style coworking office, Citizen Space in Zurich is spread over 740 sq m, allowing it to accommodate a lot of people. Prices start from 350 CHF/month (approximately 320 EUR) which is actually a great price considering how expensive Switzerland is. There are 4 meeting rooms available, and standard office equipment is available as well. 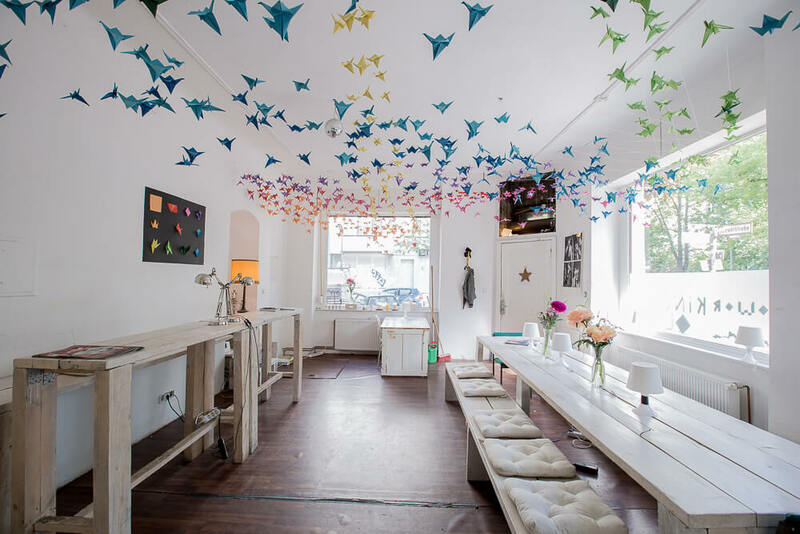 Weserland is located in Neukölln, one of Berlin’s most vibrant quarters, and is a really great job for those on a budget – the prices start from 10 EUR/day or 20 EUR/month, if you believe it! The space offers flexible and fixed desk options, phonecall room, a fully-equipped kitchen, and 24/7 access. Also, coffee – apparently, Weserland prides itself with its coffee machine imported from Italy (and we may roll our eyes at first but deep down we all know that we are mainly fuelled by coffee so there’s that). 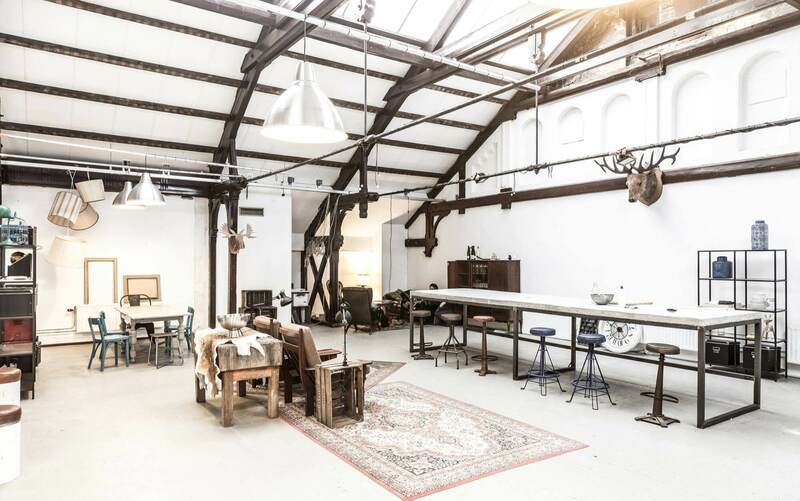 Rocket Labs advertises as a coworking space for tech startups, digital entrepreneurs, and any creative or innovative individual in Copenhagen. The pricing starts at 1,500 DKK/month (approximately 200 EUR); there is also the option to only use the space for your business address and get your correspondence and mail there for a fee of 250 DKK/month (~33 EUR). 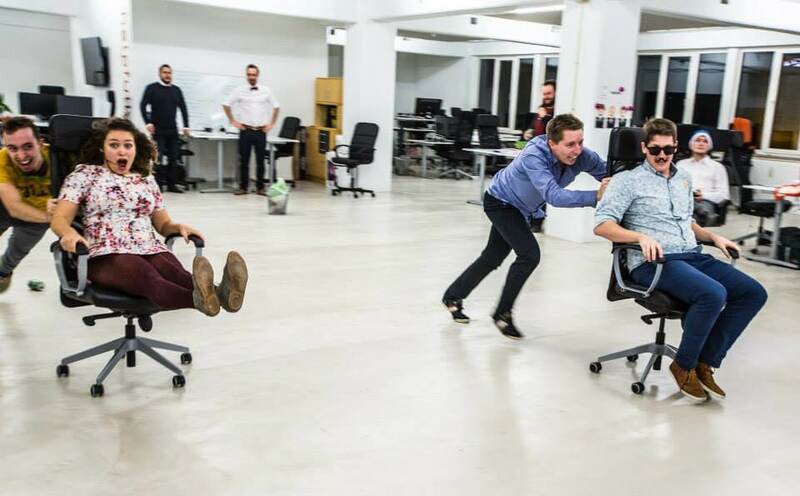 Judging from Rocket Labs’ photos on social media, chair-riding contests are a thing there, which wins our respect ;). 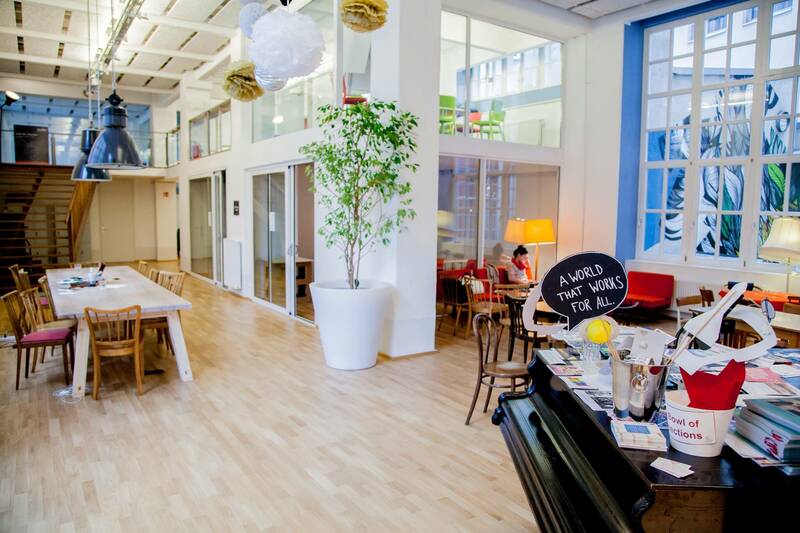 Impact Hub definitely seems like a fun but also a very focused place to work. The space has the ambition to be an innovation lab, a business incubator, and a social enterprise community center all in one. 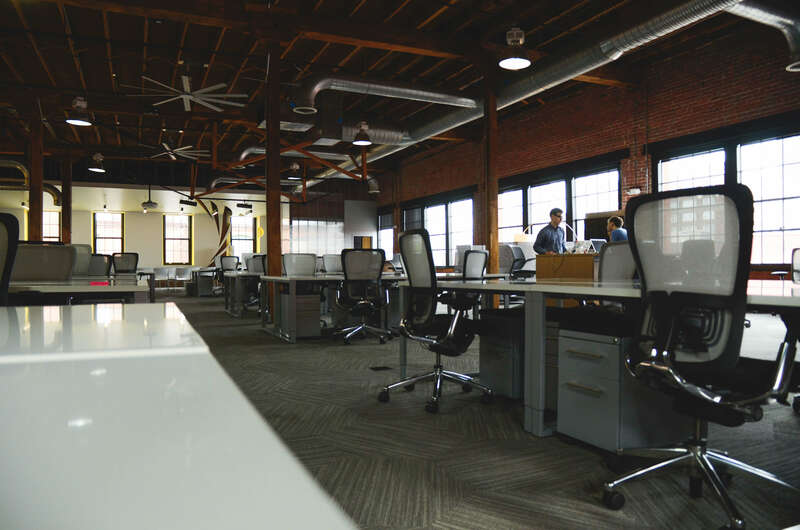 If you rent a desk there, you’ll be able to join any of the available HubClubs – sub-communities built around a certain topic. Membership fees start from 35 EUR/month and the Hub is open 9 am – 7 pm on weekdays. You can request a free day pass to give it a try, and new members can take advantage of an onboarding session. HUB385 occupies a former textile factory, which means the place is massive. 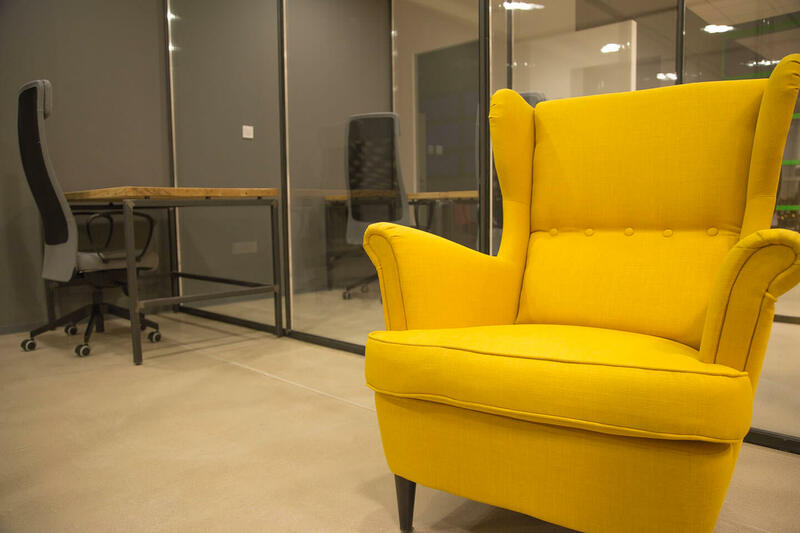 There are four floors of open working spaces, private offices, meeting & brainstorming rooms, workshop and event areas, makers and junior labs, lounges, plus a mini-cinema & bike storage. A mini-cinema! How cool is that? Renting a space on a monthly basis can cost you as little as 1250 HRK/month (around 165 EUR) but you can also get a FlyBy daily ticket for about 20 EUR/day. 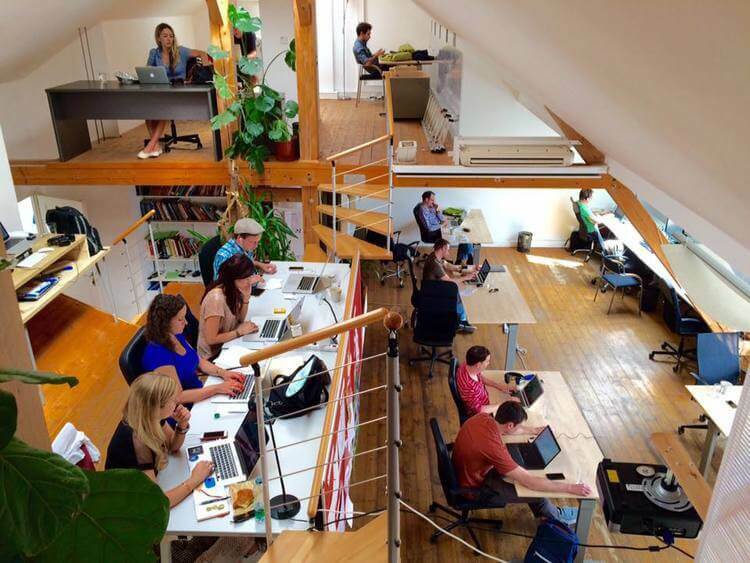 This coworking space has two locations in Prague to host English-speaking, location-independent professionals. Prices begin at 1500 CZK/month (~55 EUR), and include options such as virtual membership, evenings and weekends only, etc. You can book a free day to try it out. 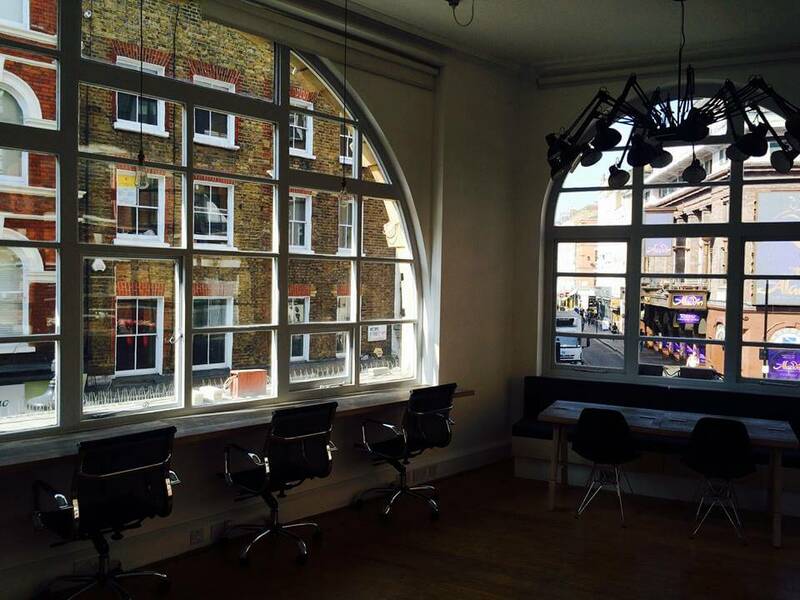 London’s Soho Collective coworking space is to be found on Old Compton Street, right in the heart of the West End. “We’re so close to the action you can almost lick it,” claims the place’s website, and I am inclined to trust them. Also, they have a bar – you can tell that Soho Collective means business when it comes to partying. Pricing starts at 35 GBP/day (about 40 EUR).